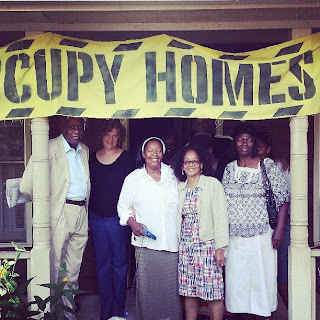 On March 18, Mildred Obi-Garrison, joined by Occupy Our Homes Atlanta, American Friends Service Committee, as well as dozens of supporters and community members, moved back into her home in an act of civil disobedience. 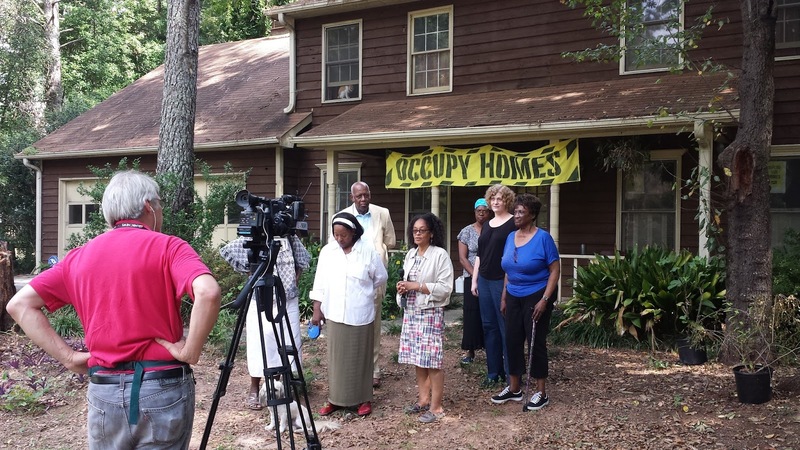 Mildred had been evicted from her home in Stone Mountain, Georgia by Bank of America last November, despite years of fighting in the courts. 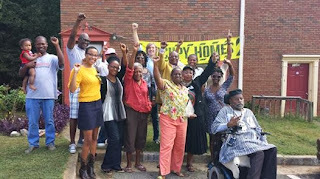 Today, Mildred can claim victory as those negotiations have finally resulted in a deal that will keep her in her home permanently. Her fight for housing justice has just begun however, as she pledged today to continue the fight alongside the millions of others who are facing housing crisis. Today's win marks a historic victory for the movement, proving that solutions can be worked out, even after eviction. The tactic of moving homeowners back in post-eviction harkens back to the days of the Great Depression, when communities would band together to move their neighbors' possessions back in after eviction, eventually leading to a moratorium being enacted in 27 states around the country. 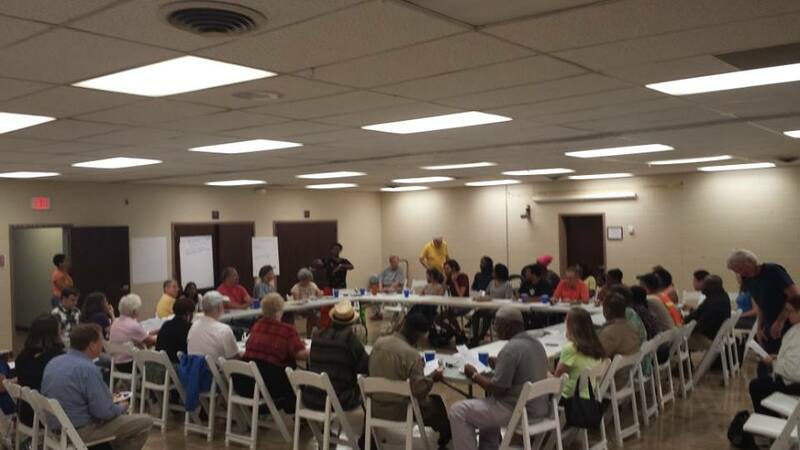 Bold actions like the ones taken by Ms. Obi and her community are necessary to fight the current crisis, which has left millions of Americans displaced since 2007. Next month, Mildred will face a judge in Washington DC, for charges of unlawful entry for blocking the revolving doors of Covington and Burling, the white-collar law firm with clients such as Bank of America and JP Morgan Chase. The firm, once home to Attorney General Eric Holder, has maintained a consistent revolving door policy with the Department of Justice, who five years after the start of the crisis, has yet to prosecute a single top level Wall Street executive for the financial crisis. Instead, on October 7, the US Attorney will try Mildred along with two other grandmothers who were arrested alongside her. During Mildred's trip to DC her story was covered in the Rolling Stone! Along with Occupy Our Homes Atlanta and AFSC, today's victory would not have been possible without the help of the National Action Network, and the Rainbow Push Coalition. 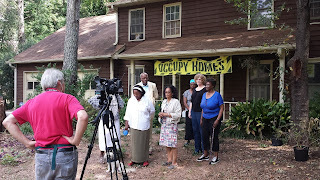 Occupy Our Homes Atlanta, American Friends Service Committee, and Civil Rights leader Joe Beasley to held Press Conference today at Toni's home. On May 7th of this year, Toni Furman was in her Lithonia home when she heard someone breaking down her door. It was DeKalb Sheriff’s deputies who came to evict Toni from her home of almost 20 years. Toni was a victim of wrongful foreclosure by a notorious mortgage lender called Cenlar. 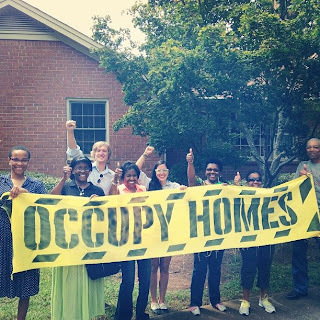 After working with Occupy Our Homes Atlanta Toni decided to lead a march to her to her home and move back in on June 10th of this year, Since then there have been at least 1000 calls, countless emails, over 5,000 have signed an online petition, and media inquiries to Cenar with zero response. Last week officers under Sheriff Browns jurisdiction showed up with an Intrusion warrant and tacked it on Toni’s door. They have been back several times since. Toni and several of her neighbors have made it clear today, she will not be leaving her home, even if it means risking her freedom, she is taking a stand. American Friends Service Committee's Atlanta Economic Justice Program is proud to stand with Toni and we continue to be inspired by everyday Americans who risk everything to stand up to the financial giants that have ravaged communities all over the country with impunity. The question was posed this week by one of Candy Lasher's neighbors, "Isn't protesting outside someone's home taking things to far?". It was an interesting question considering why we have been holding our weekly candlelight vigil outside Candy's home. Friday August 9th Desert Storm veteran Mark Harris was evicted at gun point by Fannie Mae. Mark had been trying to work with Fannie Mae for months and had offered multiple very fair deals to the taxpayer owned mortgage giant. Fannie refused to offer anything like a reasonable deal, instead choosing to move forward with an extremely tactical military style eviction. Fannie Mae even hired a private enforcement team to surround Mark's home 24/7, in fact that private force still surrounds Mark's home now. We estimate this comes at a cost of about 15k per month! 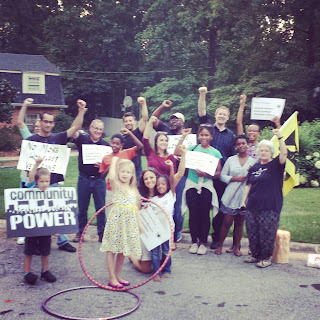 So while having a somber vigil outside Fannie Mae's SE regional VP's home may seem intrusive, it's clear most would agree that the extreme action taken against Mark Harris was certainly much more intrusive and came with the threat of actual violence. 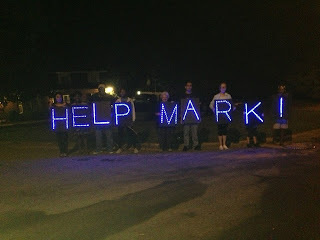 American Friends Service Committee will continue to work with local partners to support Mark Harris and his fight to occupy his home. It is a cruel irony that our tax dollars have been used to pay for Mark's eviction and 24/7 enforcement team to stand around the house. 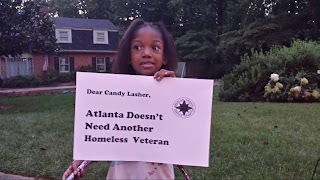 The money Mark had offered for his home would have been a source of revenue for Fannie Mae, instead their eviction of this Desert Storm veteran has cost us all thousands of dollars and created yet another homeless veteran in Atlanta. We believe it's time for Fannie Mae to do the right ting and meet with Mark. Make a deal that puts Mark back in the place he has called home for 18 year. We will continue to shine a light, every week, and the decision makers at Fannie Mae until they decide to do the right thing. To sigh Mark's online petition click here. 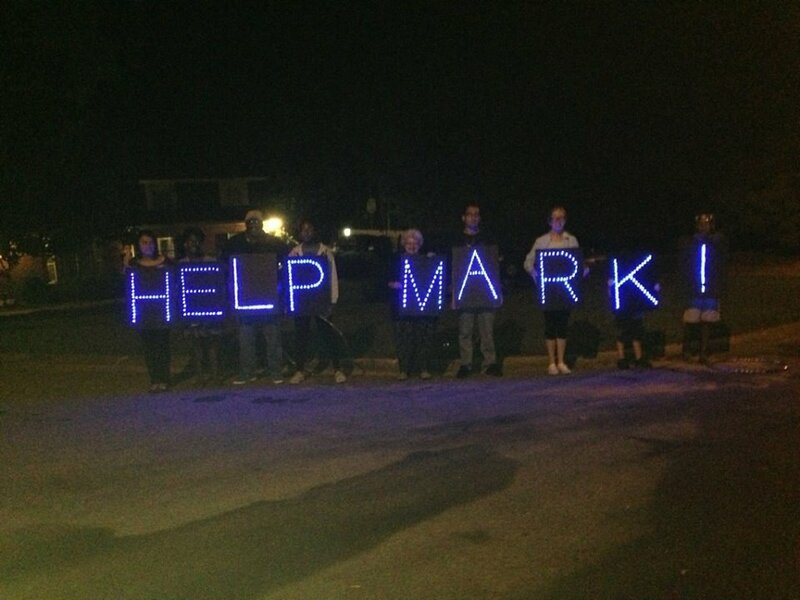 To join us next week for Mark's vigil click here. Landlord To Evict for Jaye Crawford Because of Political Activity? 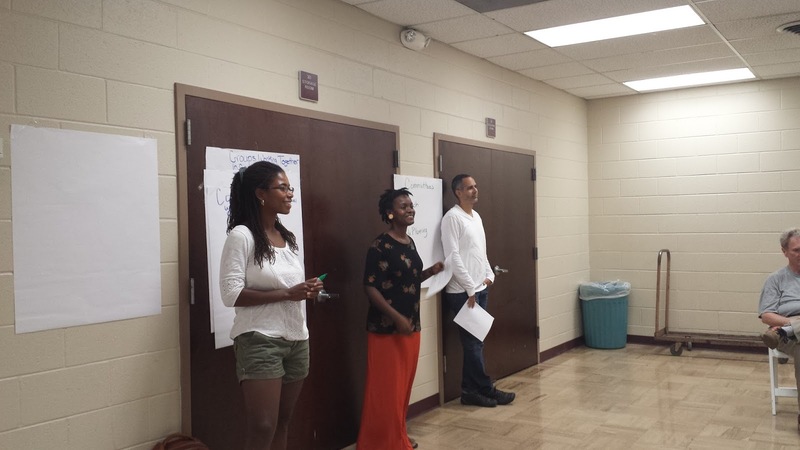 OOHA Member Jaye Crawford is known throughout Atlanta as an organizer of all things anti-GMO. For years she has campaigned tirelessly for the labeling of genetically modified foods and food security in general. Jaye and her daughter have lived in their studio apartment for 13 years. Jaye runs her personal fitness business out of her live/work studio. Her home is her livelihood. Since she has lived there she has made extensive repairs and improvements to the unit, always paid her rent on time and in full, and never broken any terms of her lease. This is why it came as a surprise when in March her landlord told her that he would not be renewing her lease. 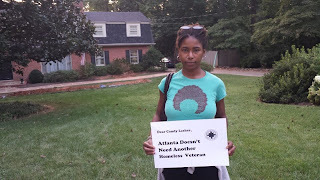 Jaye immediately started working through American Friends Service Committee and Occupy Our Homes Atlanta to have a sit down meeting with her landlord to figure out what she could do to renew her lease, as her home is her livelihood. If she were forced to move not only would her daughter likely have to switch schools, but her small business would also take a massive hit. When her landlord Hugh Trotti was unresponsive to simple requests to sit down and talk, OOHA escalated the campaign. Jaye launched an online petition, we held candlelight vigils outside of Hugh Trotti’s house, we orchestrated call in days to the property owner’s private cell phone. Still no response from Jaye’s landlord. He was perfectly silent until today. 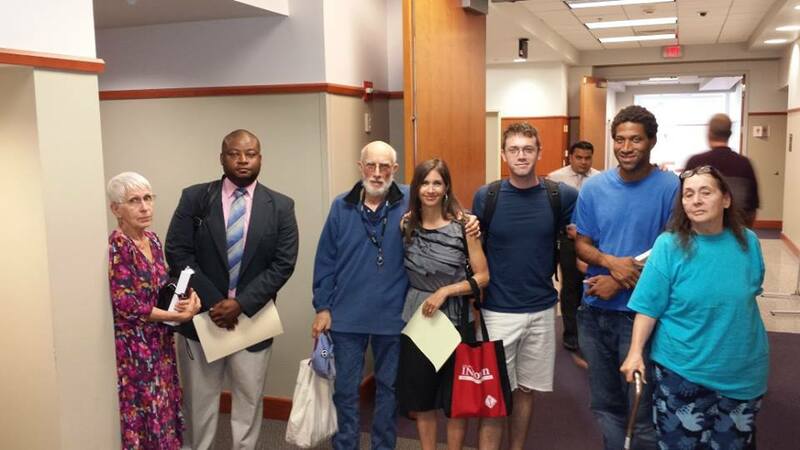 Today Jaye had her first court hearing against Hugh Trotti. 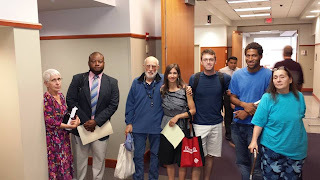 Two months after Jaye’s lease officially ended Hugh Trotti and his lawyer finally filed eviction papers. At today’s hearing in dispossessory court Hugh Trotti and his lawyer again gave no reason as to why they were trying to push Jaye out. The judge ordered that Jaye pay her rent into the court, and set a trial date for Friday September 20th at 9:30AM in the Dekalb County courthouse. While this is a temporary victory for Jaye (the alternative was that she would be told to move out completely within seven days or face eviction) the fight still isn’t over. Hopefully this hearing on September 20th will not only bring to light Hugh Trotti’s motives for displacing a single mother who has played by all of the rules and highlight the instances in which Hugh Trotti has ignored lease violations from other residents and targeted Jaye, but also result in a victory where Jaye get’s to stay in her home of 13 years. Join us at the courthouse to support Jaye and call out Hugh Trotti for targeting a single mother because she’s politically active and vocal about what she believes in! Victory! Jacqueline Barber Wins Back Her Home After a Year Long Fight! Last October Retired APD detective and cancer survivor Jacqueline Barber reached out to Occupy Our Homes Atlanta facing immediate eviction. Like millions of Americans, Jacqueline’s foreclosure documents were filled with forged documents and she was dual tracked, which means while the bank was promising to work with her on a loan modification they were also working to foreclose on her. Despite having money to pay, her lender refused to make a deal that would keep her and her family in the home. American Friends Service Committee has worked along side Jacqueline to launch an aggressive campaign that included around the clock eviction defense, a massive online petition, protests, sit-ins and even a trip to US Bank’s headquarters in Minneapolis. Finally Ocwen, who now services the loan for US Bank, has agreed to sell back the home at below market value. 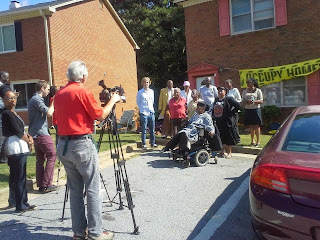 Jacqueline Barber’s home is now safe from eviction and the home will be hers for years to come. Famous whistle blower Lynn Szymoniak also stepped up to support Jacqueline’s efforts by contributing $15,000 toward Jacqueline’s buyback. Occupy Our Homes Atlanta is thrilled about Jacqueline’s victory. We’re happy that she can finally focus on her recovery free from the stress of potentially being evicted by force from her home. In the end, the solution to Jacqueline’s housing crisis, principal reduction, was simple and should not have taken an almost yearlong battle to achieve. Like so many Americans Jacqueline was treated like a number instead of a human being. The sad reality is that those that already have so much are the ones that caused the housing crisis, while those who struggle are the one's that pay for it with their equity and homes. Early on in Jacqueline's fight she said she would have to be dragged out of her home, that she refused to roll over and play dead, and that she would do whatever it took to stand her ground against Wall street. Jacqueline's victory is an invitation to resist wrongful foreclosure and eviction, resist abusive landlords, resist Wall Street control of our community's.